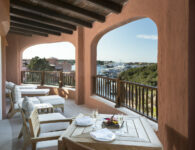 Pink stone and a Moorish Patio for a delightful hotel overlooking the Piazzetta of Porto Cervo, just a few steps from the old pier. 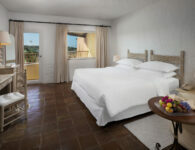 Cervo Hotel reflects the spirit of Costa Smeralda: accommodations are charming, airy and bright; the service is impeccable, courteous and attentive. 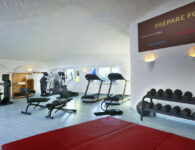 The outstanding recreational facilities at the Cervo Hotel, Costa Smeralda Resort ensure a memorable, fun-filled stay. 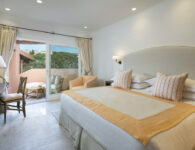 The hotel features a stunning private beach, 3 swimming pools, tennis courts, Sheraton Fitness, and a nearby golf course. 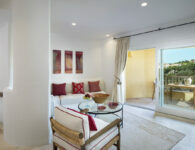 Gather together with your friends and family for a great meal enhanced by stunning views of the beach or bay. The selection of cuisines ranges from Pizza to Mediterranean specialties. 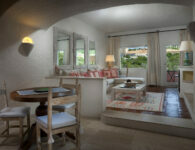 Lounge on our private beach or take a dip in one of our pools. Enjoy some live entertainment for a great night out or simply stay in and relax. 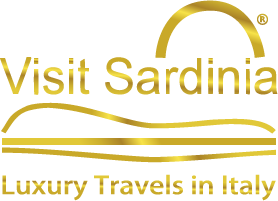 Find the best food Sardinia has to offer; from fresh seafood to delicious pasta to refreshing drinks at the bar; you will find it at the Cervo Hotel. If you fancy flavors from afar, there is even a Brazilian restaurant. Plan your next event at the Cervo hotel. 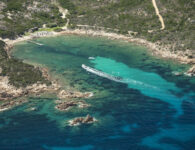 The Costa Smeralda with its turquoise sea is one of the most stunning places to host your next event. Whether you are planning a special event, a Meeting or a Wedding, choose the Cervo Hotel to plan your next event. 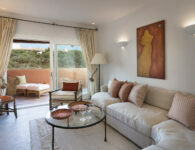 Strategic Location: situated in the center of Porto Cervo Village, the heart of the Costa Smeralda. F&B differentiation: a wide range of restaurant and pop-up restaurant. Li Nabani private beach, an exclusive bay that can be reached via the hotel’s shuttle service. 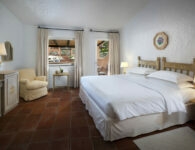 The comfortable Classic Rooms are located near the hall or by the pool. 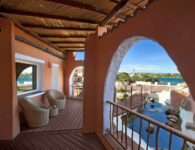 Some of them feature a garden view balcony and can be connected to become an ideal solution for a family stay. Decorated by the skills of local artisans and with a terrace facing a range of views, from the pool to the canal, the Superior Rooms are roomy and can be interconnected and become an ideal solution for a family stay. 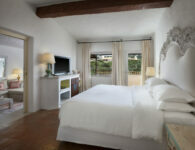 Overlooking the famous Porto Cervo Piazzetta and with a sea view or comfortably located by the pool area with direct access from the balcony, the Premium Rooms are perfect for a romantic getaway. 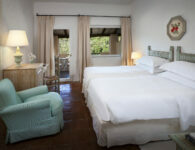 Featuring one or two bedrooms, the adorable Deluxe Suites are the ideal solution for both couples in search of a peaceful nest and for families longing for a relaxing stay. 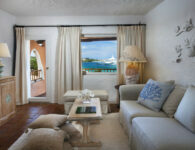 Decorated by local artisans, they feature pool views with direct access or Marina views. 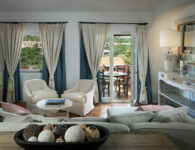 Unique, exclusive and perfect for a romantic escape, the Premium Suites are located in different parts of the Cervo Hotel and offer a range of views: sea & Piazzetta view, marina view, pool & panoramic sea view. 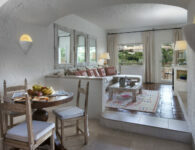 Elegant accommodation with a large terrace overlooking Porto Cervo and the dazzling sea of the Costa Smeralda. 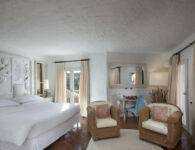 The Signature Suite includes a bedroom with an elegant marble bathroom, jacuzzi and steam bath. 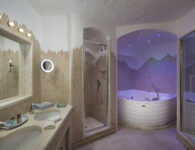 In addition it can offer another bathroom attached to the living area. 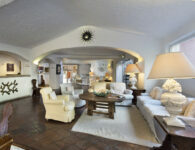 The living room has a table that can accommodate up to four people. The details of the interior, skilfully decorated by local craftsmen, are unique pieces of art. 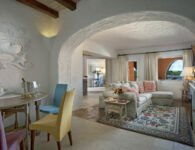 The 100-sqm Royal Suite is decorated by the skillful hands of Sardinian artisans and features a grand terrace dominating the Porto Cervo Piazzetta and overlooking the Emerald Sea. 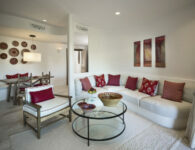 The Royal Suite offers a large living room and a 4-people dining table. 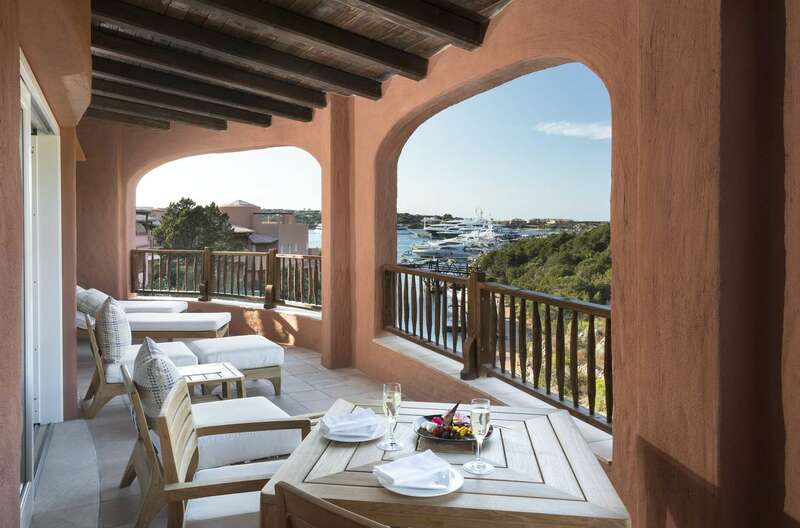 With its spacious roof top terrace boasting a dominating view of the Porto Cervo bay, our marvellous Presidential Suite is a unique gem for unforgettable stays. Interior is a harmonious balance between modern design and indigenous handcraft. 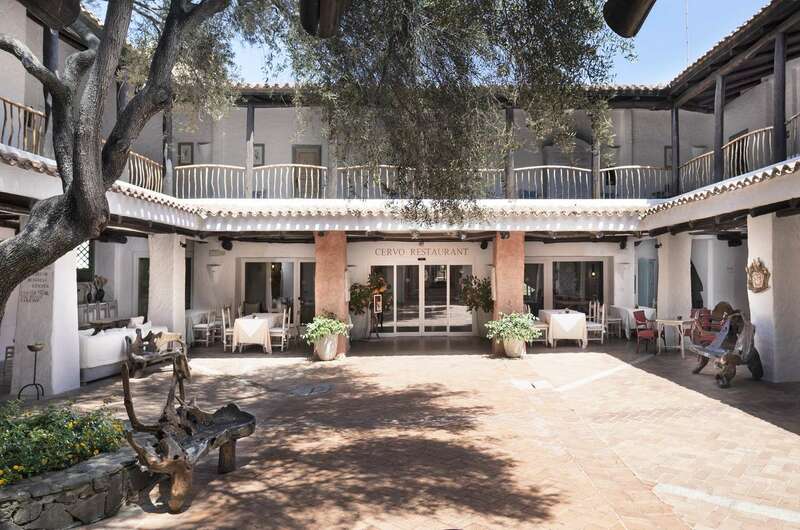 Find the best food Sardinia has to offer; from fresh seafood to delicious pasta to refreshing drinks at the bar; you will find it at the Cervo Hotel. If you fancy flavours from afar, there is even a Brazilian restaurant. 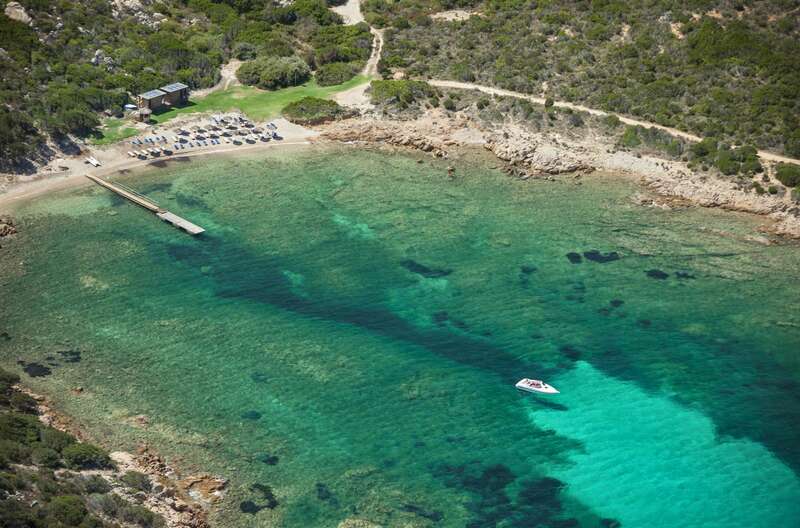 At the heart of Porto Cervo, located at the legendary Marina and the little beach of the village, Costa Smeralda’s famous gourmet restaurant invites guests for haute cuisine experiences. 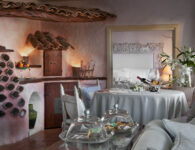 A selection of famous chefs from the island and abroad alternate at the helm of this unique gourmet restaurant at Cervo Hotel for a specific time in the year preparing their signature dishes for guests – a unique experience with a splendid sea view directly at the port. 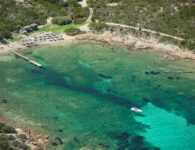 Il Pescatore Restaurant is the only pieds dans l’eau restaurant in Costa Smeralda. It has earned itself a loyal following due to its superb seafood dishes. 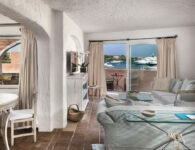 Situated in Costa Smeralda it seduces all its guests with the stunning views of the port, the timeless charm and the romantic atmosphere of the location. Il Pescatore Restaurant enjoys a seafront location in the heart of Porto Cervo bay, and has been there even longer than the port itself. The restaurant offers two menus that allow its clients to experience traditional sardine cuisine as well as innovative Mediterranean dishes. Visit Il Pescatore and enter a remarkable journey of flavors. A cool place in the shade, perfect for who wants to enjoy a refreshing meal. With a view that has the double advantage of vistas over the harbor and prime people-watching seating on Porto Cervo’s famed Piazzetta, La Pergola is ideal for a relaxing lunch break to regain energy. The billowing white linen curtains and its traditional Mediterranean characteristics make it a romantic and cozy location. Discover our light and fresh lunch menu or find out more about our delicious dinner menu to get a pre-taste of our culinary creations. You are looking for traditional and genuineItalian cuisine? Il Pomodoro is the restaurant you need. 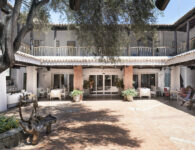 It is a temple of Italian dishes and also known to have one of the best pizzas in Costa Smeralda. Nowhere else you can enjoy better authentic Mediterranean flavors with the freshest seasonal ingredients than at Il Pomodoro Restaurant. Visit us to share an Italian experience with family and friends or simply to savor the crispiness of a real Italian pizza. A wide range of delicious pizza await you, from the common Pizza Margherita to unique creations, each pizza being a fusion of Mediterranean flavors to provide you an authentic Italian culinary experience. A new corner dedicated to meat specialties, Esmeralda Churrascaria is a piece of heaven that is able to satisfy the appetite of who enjoys Brazilian flavors. The premium choice of meat, accompanied by a rich buffet of specialties and creations of the Chef render this kingdom a unique experience of exotic flavors with meat that melt on your tongue. Finish off your evening with the sweet delights of our Pastry Chef which perfectly match the atmosphere and the flavors of the menu and leave you with a satisified fealing and the perfect end of a relaxing day. 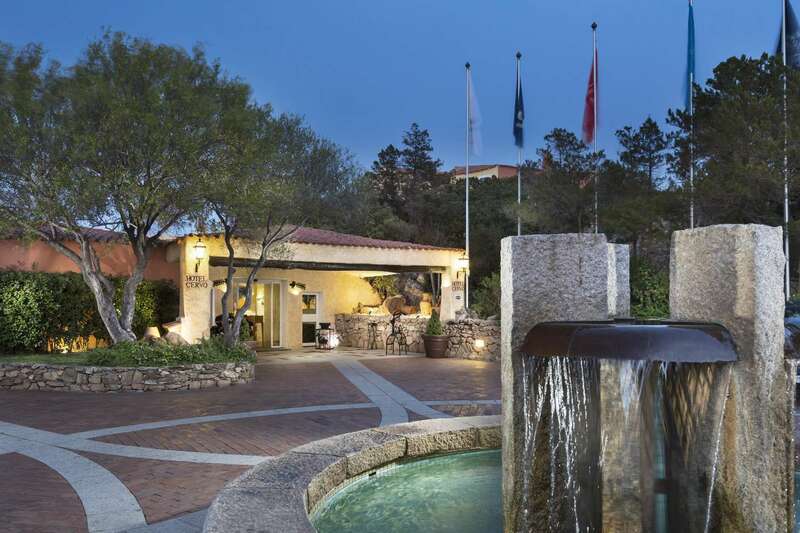 The Porto Cervo piazzetta has always been the place to get together and share quality time with friends, family and to mingle with local people. Exactly at this unique place you will find Caffè Sole, where guests, while socializing, can choose from a light snack during the day or a refreshing drink, either during the day, for aperitivo or to close off a beautiful day. Come and find us also for a hearty breakfast and enjoy the first rays of sunshine to start the day in the best possible way. 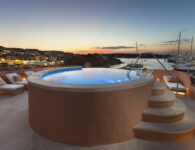 Enjoy the Costa Smeralda’s lifestyle at any time of the day. 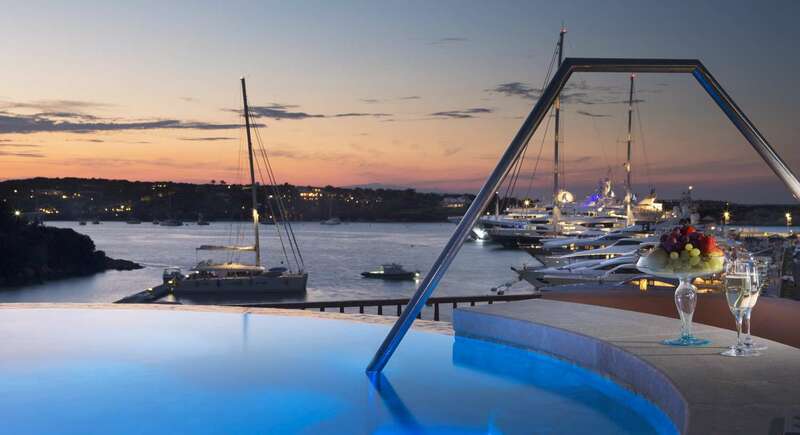 Il Portico Bar has always provided wonderful overviews of the Porto Cervo’s Piazzetta and is also the perfect spot from which to watch the yachts making their way into and out of the bay. If you’re looking for a place to meet up with friends or family and have a relaxing chat while sharing a meal or drink, this bar is the perfect place for you. Sit in the shade below the arches to cool off or take in the sun on our comfortable lounge while sipping a refreshing drink and eating a light meal. Cervo Bar at the Cervo Hotel has always been the place to meet, day or night, in the heart of Porto Cervo. It is the perfect spot for a quick, light lunch, aperitivos and refreshing cocktails creations. Watch our talented barmen shake and stir delicious cocktails and listen to the tingling sounds of the piano while enjoying our chef’s exquisite specialties. The perfect summer spot for you to linger and watch the sunset. Discover an exceptional legacy: for over 50 years have been hosting elegant and unforgettable wedding celebrations and ceremonies in Costa Smeralda. Your private corner of untouched natural beauty, a unique distinctive setting for your weddings which still continues to fascinate and strike in a heavenly island. 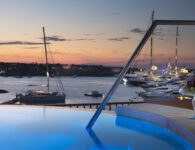 Fashion shows, exclusive concerts, luxurious boutiques, world-class restaurants and the most exciting bars and clubs – nothing says Italian style like the Costa Smeralda. 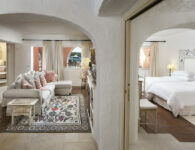 Pink stone and a Moorish patio for the delightful Cervo Hotel overlooking the ‘Piazzetta’ of Porto Cervo, just a few steps from the old pier. 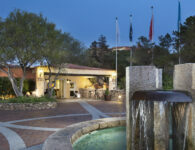 The complex includes the Cervo Tennis Club and the Restaurant Pescatore. Lock in our lowest rates with up to 5% off, enjoy free Wi-Fi and earn Starpoints® on your next hotel stay at over 1,300 hotels and resorts worldwide. A Full-Board Package gives you the opportunity to relax and enjoy your stay knowing that all your meals are included: breakfast, lunch and dinner. 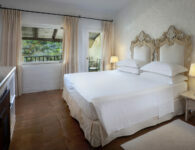 Reserve this package at Cervo Hotel and get our A-la-Carte Menu along with the opportunity to have one of your daily meals in any of the restaurants at Hotel Cala di Volpe, Hotel Pitrizza, Hotel Romazzino and downtown Porto Cervo at the Cervo Hotel’s restaurants: La Pergola, Il Grill, Il Pescatore, Il Pomodoro and Esmeralda Churrascaria. 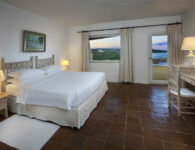 Rates starting from €550, per room per night, on a double occupancy. Upgrade your meal plan to the Half-Board package. 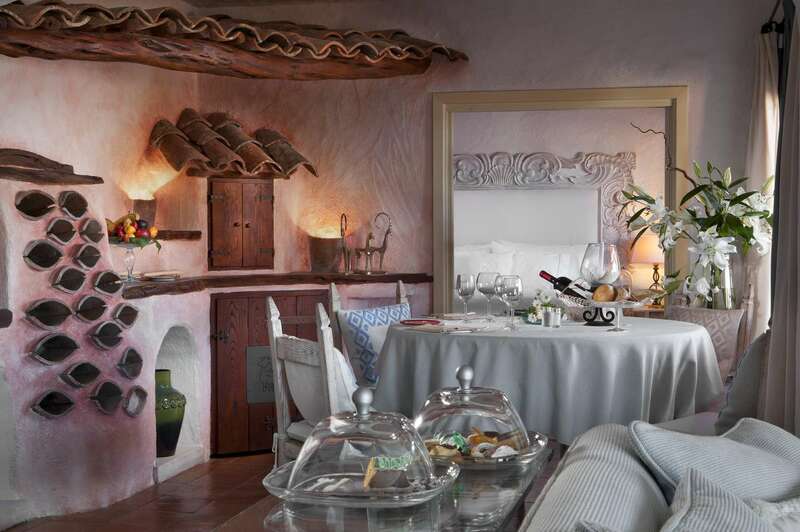 This includes breakfast and, at your choice, lunch or dinner at one of the following restaurants in downtown Porto Cervo: Il Pomodoro, La Pergola or Il Pescatore. 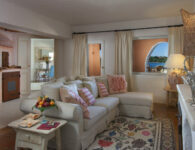 Rates starting from €420, per room per night, on a double occupancy.